Ben Johnson would seem a like a small time cheat compared to Lance Armstrong. If the reasons due to which Armstrong has been stripped of his 7 titles and perhaps Olympic Medal too are true (more likely than not), then Ben Johnson could actually be forgiven for letting down athletic fans over 20 years back for a few acts of misjudgment, compared to Lance Armstrong who would seem like a ringleader of fraud and cheaters in sport. Lance Armstrong’s achievements in cycling were comparable only to what Federer has achieved in tennis or Tendulkar has achieved in cricket. Not only that, he was an emotional icon beyond sport for most of his fans, purely because of the fact that his super human achievements came after he had conquered cancer. Most of his fans would probably be in denial unable to accept that, after all, he was, at best, a superficially pumped performer, and at worst, a thriving store and supplier of performance enhancing drugs to world-class cyclists. There is something god-like that we attribute to sporting heroes who not only achieve supreme excellence in their field, but do so in the face of personal tragedy. That in itself becomes reason enough to provide them a status that is beyond mere mortals or even normally outstanding sports persons. For those not familiar with cycling, Lance Armstrong had that kind of standing. 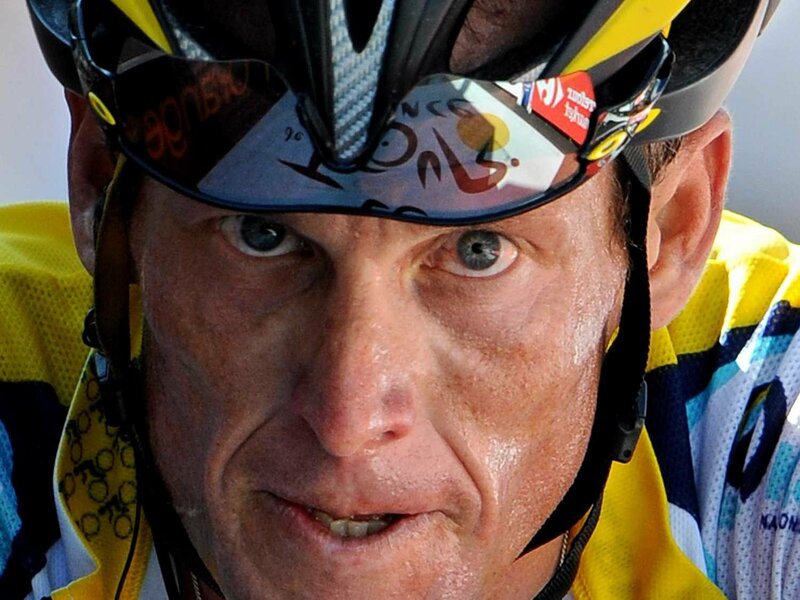 The morally high pedestal that Armstrong was put on is likely to ensure that he will fall that much harder. Now not only his cycling feats in the face of extreme adversity will be questioned, but I heard a true-blue fan so shattered yesterday that he was questioning whether Armstrong really had cancer. That would be stretching things too far, but that is what happens when real life heroes of this stature turn out to be just another greedy cheat trying to make it big in the big business of sports, and who was smart enough not to be caught so far. In some way, Armstrong’s personal fight against cancer cannot be taken away from him. And his cancer foundation has done a lot of good for cancer patients purely due to the money it collected. But all of it was based on the premise that Lance Armstrong was the God of Cycling who not only can win 7 titles but can do so after having beaten cancer. And that represented hope to a cancer patient. I would suspect that not only cycling fans but also some of those patients will feel moral outrage of some kind. The Hall of Fame that Lance Armstrong enjoyed is likely to become a Hall of Shame in equal and opposite measure. After all, it really was not just about the bike.